According to my hit counter (which is not accurate because i had the blog going before i had it) over 500 people have viewed my blog which to me is quite good. I started this blog as a way to share a not-so-popular hobby with others. I want to share the lesser known parts of the province and all the treasures on back roads that may be missed. I never imagined people would read let alone comment on my blog. I am not doing this blog to count how many people will read it I just want to share my hobby & document abandonment's around the province. I will continue doing what I love and hope to continue this blog as well as getting my website up at some point. Please feel free to comment on my blog with ideas of things you would like to see or just comments on what you think so far. I can also be contacted through e-mail which is on the corner of my blog. If you have any comments, suggestions or even if you explore in Saskatchewan please let me know! I will continue to post as much as I can and after every trip as well as reply to all my comments. Thank you to everyone who has read or stopped by the blog. Over the past couple years i have been to many buildings where there are long hallways. Most of these hallways are dark and not very iniviting (to most people) but others have open windows and wooden cielings just begging you to walk down them. 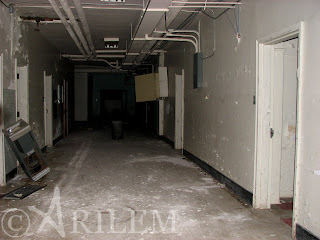 Most of these hallways can be seen in institutations of all types and have many stories to tell. I decided to post some of my all time favorite hallway shots. I would also like to say that i have bought a tripod and it has been the best thing i could have ever invested money into. Some of these shots were only possible because of it. 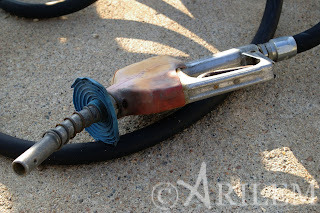 I am not sure if this happens to anyone else but it seems every time I am on a trip and I look for a gas station all the ones I find are abandoned! Its not that I don’t like abandoned gas stations but when I need to fill up my car I really wish they were open. Take for example this one trip where I hit 4 storms in 2.5 hours and I was running out of gas. I saw a sign for a nearby town and it said they had gas. I thought I was in luck, whats the chances of finding a gas station out in the middle of nowhere while trying to avoid storms? 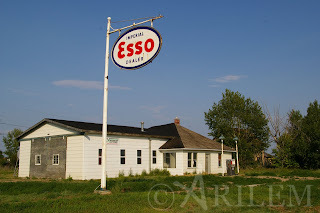 It was to good to be true – the gas station had long since been abandoned. The building boarded up and the gas pumps dry. 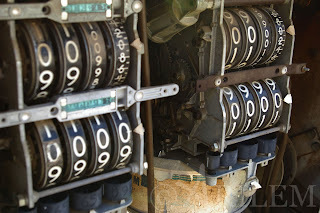 One of our trips we found a town with another abandoned gas station. Sign still in place, gas pump dry and building sitting empty. 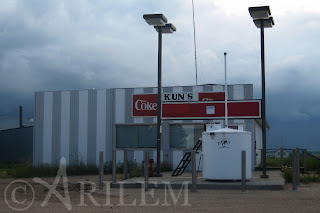 Maybe this is just me, but there seem to be a lot of abandoned gas stations in this province. 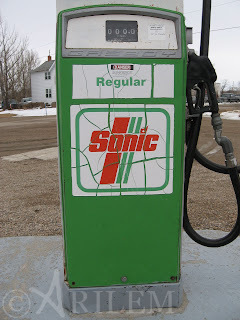 I figured I could dedicate a blog entry to the abandoned gas stations I have been to. So here are some of my pictures from times when I thought I could get gas and soon realized the pumps were dry and the station was long abandoned. 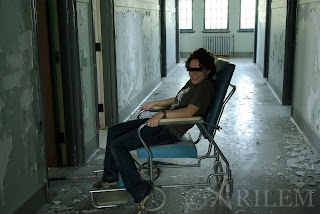 PLEASE VISIT THE WEBSITE FOR FULL LOCATION DETAILS & IMAGES @ www.vanishedcompass.com/weyburn-mental-hospital--sk.html Seems just yesterday I stepped through the doors into the Weyburn Mental Hospital and was overwhelmed by the size. 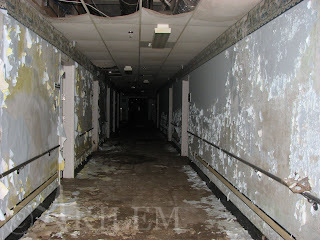 Walking the halls of the hospital was amazing. If only I had seen what it was like to be open. 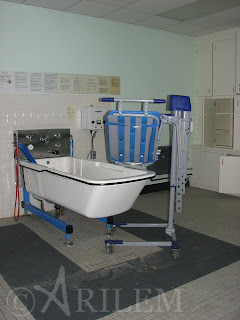 All I could think about is what it must have been like to have been admitted to the hospital or to work here. 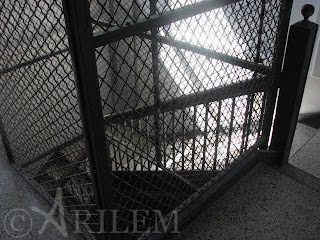 Bars on the windows, secure doors in every hallway, cages in the stairwells and rooms for many many beds all to share. It was very obvious time had taken its toll on the hospital. 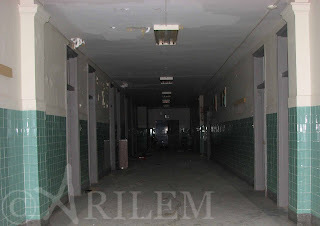 The ceilings were fallen, rooms moldy, floors covered in water from the windows being open, dead animals everywhere, paint falling off the walls and ripped curtains falling off the rods. The experience was amazing and I am still amazed and thrilled that I was able to document most of this hospital before it was demolished. 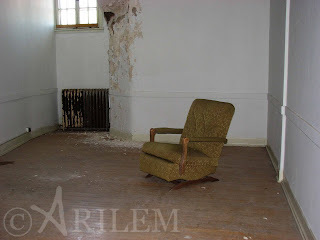 Here are just a few of my pictures of the interior of the Weyburn Mental.